Light-dark coat color variation is a common aspect of color diversity within and across mammalian taxa. This variation in pelage brightness is associated with aspects of evolutionary ecology, particularly for primates, but little is known about the genetic mechanisms underlying light-dark differences in pelage pigmentation. Previous work, focusing particularly on macaques (Genus Macaca), has found no clear relationship between color variation and coding sequences of key pigmentation genes. This suggests that other loci and/or gene regulatory differences underlie this variation and raises the question of how patterns of gene expression differ in light verses dark hair follicles. Here, we examine relative expression levels of pigmentation genes in hair follicles from free-ranging rhesus macaques (Macaca mulatta) showing stark light-dark coat color variation. We quantified the brightness (reflectance) of plucked hair tufts using a spectrophotometer. We extracted RNA from the follicles and used quantitative RT-PCR to measure the relative amounts of gene product (mRNA) for seven candidate pigmentation genes (MITF, MC1R, MGRN1, ATRN, SLC24A5, TYRP1, and DCT). Expression values were normalized with the house-keeping gene ACTB. All candidate genes were expressed at similar levels in dark, intermediate, and light hair, and thus, light-dark variation in macaque coat color is unlikely to be due to differences in the expression of these key pigmentation genes. 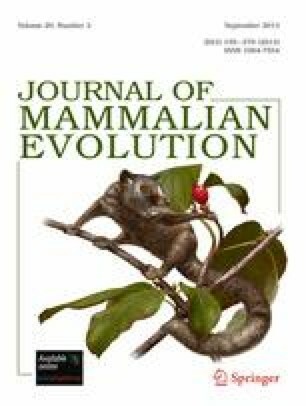 This study represents the first examination of gene expression and natural color variation in a non-human primate population. Our results indicate that even in a system, like pigmentation, where a candidate-gene approach is promising, identifying important intra-specific gene regulatory differences remains challenging. We are grateful to Jenny Pastorini for help with primer design and PCR product verification, to the Caribbean Primate Research Center for support to conduct this research, to Edgar Davíla and Julio Resto for maintaining a daily census of the Cayo Santiago population, and the staff of Cayo Santiago for preserving the well-being of the monkeys of Cayo Santiago. We thank James Higham for the photo used in Fig. 1a. The rhesus macaque population of Cayo Santiago is supported by the University of Puerto Rico, Medical Sciences Campus and by the National Center for Research Resources (NCRR), a component of the National Institutes of Health (NIH) (NCRR grant P40RR003640 award to the Caribbean Primate Research Center). The content of this publication is solely the responsibility of the authors and does not necessarily represent the official views of NCRR or NIH. All research procedures were approved by the CPRC and the Institutional Animal Care and Use Committee (IACUC) of the University of Puerto Rico (protocol number Widdig 4060105). The export of hair samples was approved by the FWS (Cites Export permission # 06US112079/9, Cites Import permission # E-1082/06). This work was funded by the UK Natural Environment Research Council, the UK Biotechnology and Biological Sciences Research Council, The Leverhulme Trust, the German Research Foundation, and Yale University.